Sensual girls’ performance with burning hula hoops. Sophisticated choreographies and professional costumes highlight women’s beauty in connection with hot fire element. Pleasure particularly for men audience. Possible to realise independently or as a part of a larger fire show. 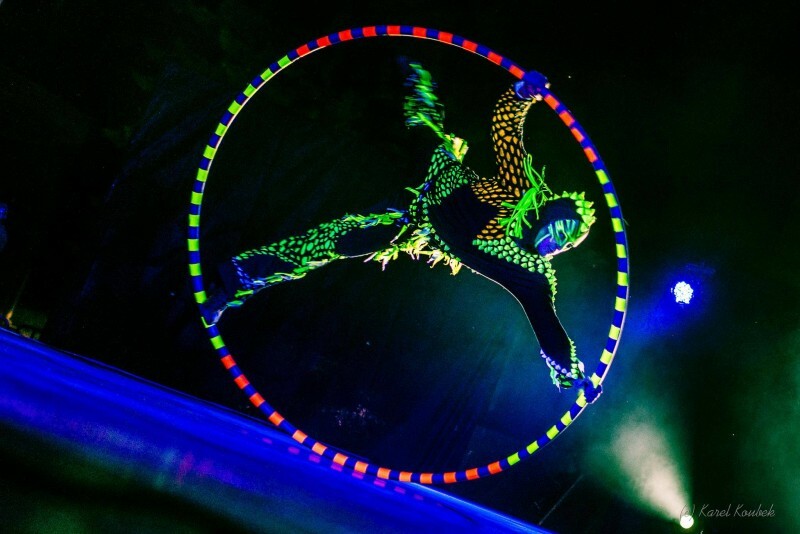 The Visual Effect of UV Light With Cyr Wheel Acrobatic Ascent. As one of the first groups in the world, we combined visual effect of UV light with acrobatic ascent to modern circus tool cyr wheel. Between other effects are impressive choreography with large cubes, light sticks and pixel visual poi, airbrush flags, wings, ribbons, as well as the colors of glittering helmets. 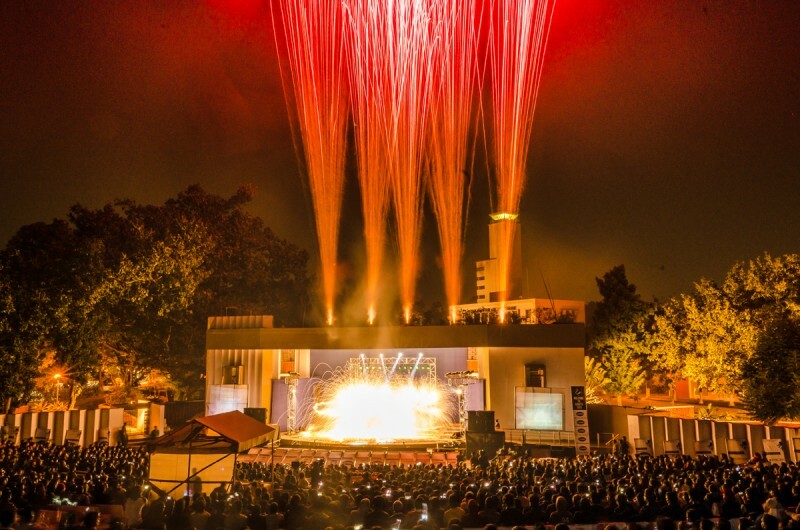 Anta Agni crew performed Fire and Pyro show at the festival Kshitij – The Annual Techno-Management Fest of IIT Kharagpur, February 2013. We used a lot of pyro effects, pyro fountains and various fire effects during our firedance choreographies. Notice the number of people with their phones and cameras out! It was an amazing vista overall! 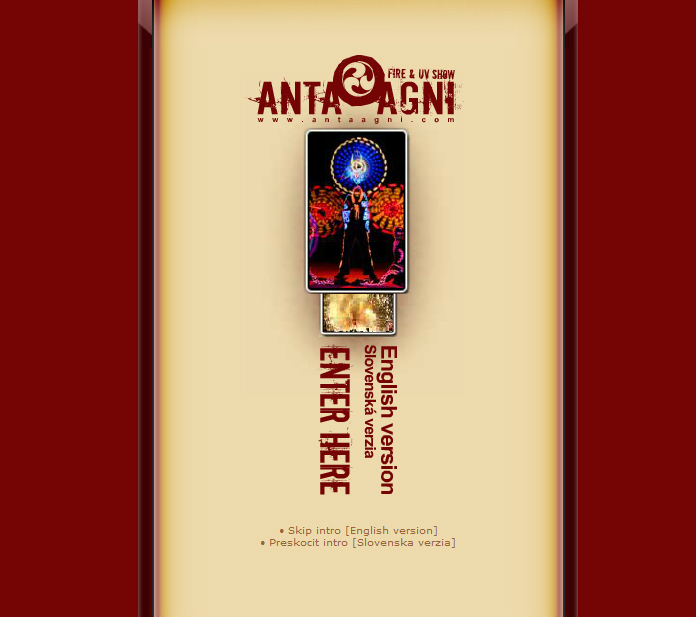 Find out more photos at our Facebook photo album – Anta Agni Pyroshow – KSHITIJ. 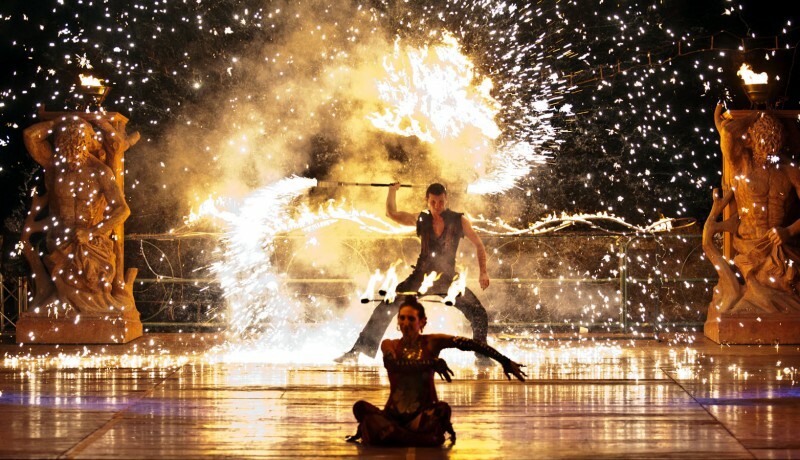 Visual effects of our fireshow can be used for creation of special photos. Professionals from Anta Agni assisted in a photo session of a luxury Mustang car for magazine Brejk. And here is the result.